Penguin Group (USA) is proud to present Read Humane®—our second year dedicated to the fight against animal cruelty—with a $25, 000* donation to The Humane Society of the United States' Animal Rescue Team. May is National Pet Month — and Penguin is pleased to offer six of our bestselling mass market titles to support our furry friends. The Read Humane special editions feature a distinctive Read Humane seal on their covers, conveying our support for this compassionate cause. Participating authors include our Read Humane spokesperson, Jill Shalvis, as well as Linda O. Johnston, Miranda James, Leann Sweeney, Judi McCoy, and Ali Brandon. Penguin's donation supports the Animal Rescue Team, which works with law enforcement to investigate illegal animal cruelty, targeting the worst cases of animal abuse nationwide. According to The Humane Society of the United States, its Animal Rescue Team rescues thousands of animals from puppy mills, animal fighting operations, hoarders, and other situations where animals suffer from life-threatening cruelty. 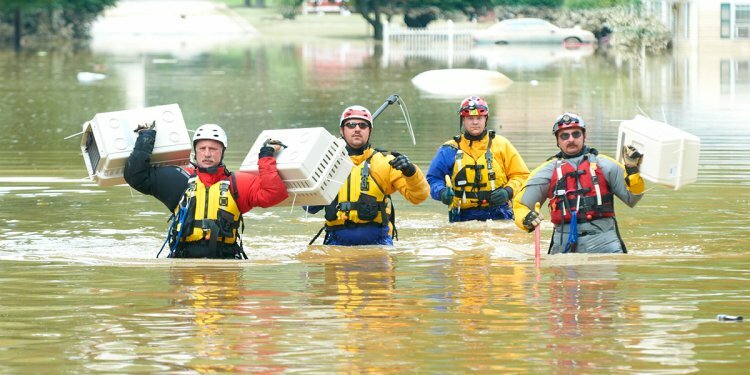 They also provide expert animal rescue response during natural disasters. Join us in the fight against animal cruelty by making your own tax-deductible donation today. To make a donation online, and to find out more about the work of The Humane Society of the United States, please visit: humanesociety.org. The Humane Society of the United States is the nation's largest animal protection organization, and was voted by GuideStar's Philanthropedia experts as the #1 high-impact animal protection group. Established in 1954, The HSUS seeks a humane and sustainable world for all animals—a world that will also benefit people. The HSUS works with local humane societies and supports their work through training, evaluations, publications, and other professional services.